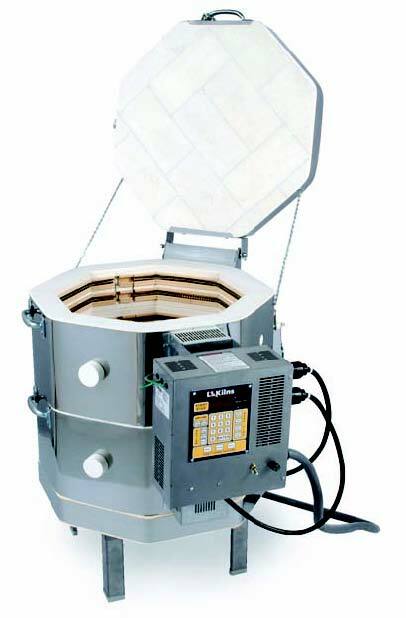 This L & L electric kiln is the “Thoroughbred” of kilns. Designed specifically for Crystalline Glaze firing - fast, responsive and precise. The JH kilns were designed specifically for firing crystalline glaze. Each L and L kiln features special higher temperature firebrick for extra high cone 12 firing, extra power for fast heat up, super heavy-duty elements to hold up to the special rigors of crystalline firing, minimal insulation to allow for fast cool down, and type S thermocouples for long life. Power Loading: These kilns come with approximately 25% more power than a regular electric ceramic kiln of similar size.